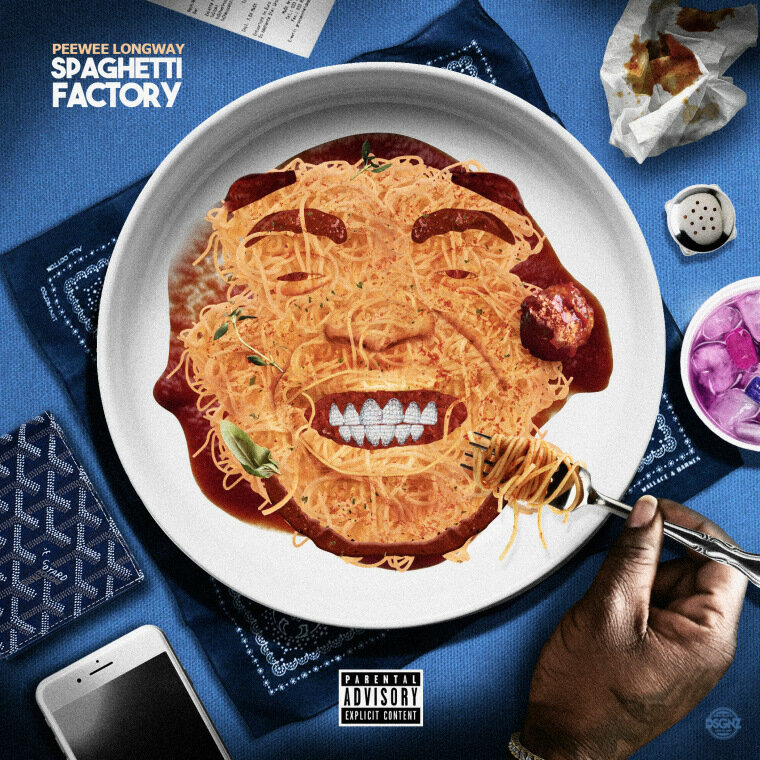 KD Designz’s cover for Peewee Longway’s Spaghetti Factory is iconic. For his new mixtape Spaghetti Factory, Atlanta's lovable goofball Peewee Longway managed to come up with one of the most memorable mixtape covers in recent memory. In an era where a lot of artists try to shroud themselves in an intense air of mystery, it's nice to see someone literally smush their whole face in a pile of spaghetti. KD Designz, a graphic designer based in Atlanta, is the artist behind the masterpiece. 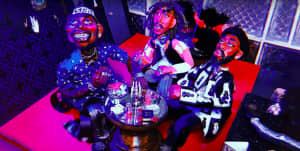 He got his start making art for Soulja Boy and has done a ton of work for Gucci Mane, too. Over email with The FADER, KD said that the cover concept was his idea and it was a speedy creative process. "When he gave me the title of the mixtape, the first thing that came to my mind was to have a portrait of him made out of spaghetti," he said. "So I got to work right away because I was so excited about the idea. I had FaceTimed Peewee to show him a preview of the cover before it was even remotely finished and he started smiling super hard so I knew he was going to love the finished product." Longway has a history of offbeat covers including a portrait of an iced-out blue M&M that KD created as well. "Peewee knows my way of thinking when it comes to my artwork so I knew it would be something he would expect from me," KD added. Peep some more of his excellent work below.